Find out why a platform migration to Shopify might be exactly what your online business needs to skyrocket its growth! Check out the latest in the world of Shopify and ecommerce for April 2019 - here are the top 4 things you need to know. 301s and 404s? Find out which error codes you need to watch out for, what they mean, and how to deal with them. Join us as we explore the importance of cognitive load, and how it should be considered in web design. Check out some highlights from the February 2019 Shopify Meetup in Birmingham. One of our leading back-end developers, Jim Seconde, takes a look at the technical implications of Black Friday from an infrastructure point of view. 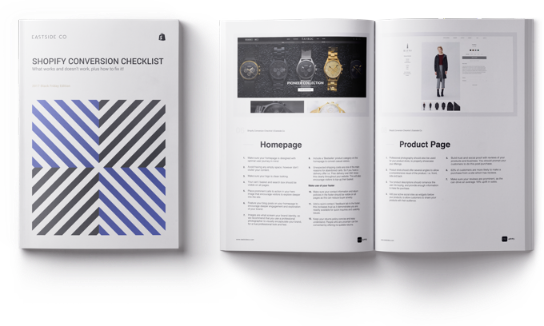 Over 30,000 merchants have already downloaded and benefited from our Shopify Conversion Checklist.